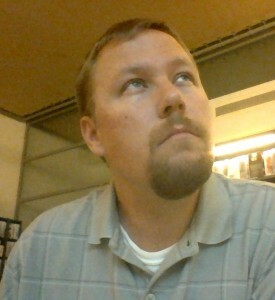 Ph.D. Modern German History, University of Tennessee, 2011 – present; ABD – Nov. 2013. M.A. European History: George Mason University, 2011. B.A. History: George Mason University, 2005. Field of Study: Modern Europe. Research Interests: Modern German History, Modern Dutch History, Modern European History, History of Imperialism, Nazi Empire. Dissertation Title: The Greater Germanic Reich: Nazification and the Creation of a New Dutch Identity in the Occupied Netherlands. Joshua Sander earned his B.A. and M.A. in History at George Mason University in Fairfax, VA. He came to the University of Tennessee in 2011 to study under Dr. Vejas Liulevicius. When asked why he chose UT, Joshua responded, “Dr. Liulevicius literally wrote the book on the German occupation of the East during the First World War, so it seemed like a natural decision to study under him. And when you consider the success of his students, it was a no-brainer.” Joshua’s research interests focus on the intersection between occupation and culture in the Netherlands during the Second World War. His dissertation focuses on the educational initiatives of the occupying German regime and their Dutch collaborators which, he argues, aimed to completely reshape the national identity of the Dutch people into a less independent, more German mold as part of the eventual planned incorporation of the Netherlands into the German Reich. In his research, he also examines the reactions of the Dutch populace, especially among school aged youth, to those initiatives. Joshua’s research, travel, and education have been funded by many universities, agencies, and foundations. In the 2011-2012 academic year, he was awarded the J. Wallace and Katie Dean Graduate Fellowship by the Graduate School of the University of Tennessee. In the 2013-2014 academic year, he was awarded the William B. Anderson Award for Military History and the W. K. McClure Scholarship for the Study of World Affairs, both by the University of Tennessee, which allowed him to conduct dissertation research at archives in the Netherlands. During the 2014- 2015 academic year, he awarded the Norman Raab Foundation Fellowship by the United States Holocaust Memorial Museum in Washington, D.C. and the Claude Robertson Award for Outstanding Student in European History by the UT History Department. For the Summer 2015 term, Joshua was awarded the Newton W. and Wilma C. Thomas Graduate Fellowship in the Humanities and Social Sciences by the College of Arts and Sciences at the University of Tennessee and the AANS Research Scholarship by the American Association of Netherlandic Studies which allowed him to return to the Netherlands for additional research. He was also awarded, but could not accept, a dissertation writing fellowship for the 2015-2016 academic year from the Tennessee Humanities Center. Instead, he is spending the 2015-2016 academic year researching at archives in Germany on a Fulbright Fellowship. For these accomplishments, Joshua was recognized as the UT Quest Scholar of the Week in May 2015. Joshua is an active participant in the History Department at UT, including the Faculty Seminar on Modern Germany and the After Wars Faculty Research Seminar presented by the Center for the Study of War and Society. He is also a member of the American Historical Association, the German Studies Association, the Central European History Society, and the American Association for Netherlandic Studies.